Do you want to know the one sure thing you can do to blow out your numbers and crush the competition? 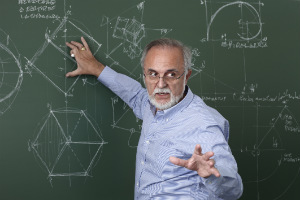 Turn your sales organization into a teaching organization. Times have changed and so has your job. Sales leaders used to be able to build up their organizations by pitching and closing, but those days are gone. No one wants to be pitched to, and closing will happen by itself if a salesperson does his job right. There is way too much information on the web. Your customers and prospects are way too busy to waste their time listening to your pitch. In most cases, prospects are 50-60 percent through the buying cycle before they ever talk to you. Today salespeople must be able to teach their customers and prospects, to educate them. You need to have more information than your customers and your competitors. You must build a team that can teach customers and prospects something they don’t already know, such as how to solve a unique set of problems, what solutions may be available to them, what risks they face and where the market is going. So build a sales organization that is known for its tremendous knowledge and insight—not its product expertise. If you want to have a sales organization that can succeed in today’s selling world, stop selling and start teaching. Advisors: Do your clients know what they want?